Many of us are aware of the serious problems from light pollution. Blinding glare is a safety problem, light in your bedroom window disrupts sleep, bright lights disorient wildlife, there is an enormous waste of energy, and sky glow stops us from appreciating our magnificent night sky. What can be done? First, study the issues. Fortunately, the International Dark-Sky Association has compiled vast resources to help you get up to speed. You will need to understand technical terms as well as the problems of and solutions to light pollution. Visit www.darksky.org to get started. The next step is education. It is critically important to help people understand the adverse impact of poorly designed lighting. After learning about the problems of light pollution, many people voluntarily take action to control it. But what about the neighbor who refuses to turn down his or her floodlights when they are aimed directly onto your property? A lighting ordinance or zoning code helps level the playing field, and it sets a good standard for everyone. This is not easy, and it takes time, sometimes years. Fortunately, hundreds, if not thousands, of cities, towns, counties, and states have passed laws, so you are not alone. In my area, we have city, county, and state lighting ordinances. I found that the higher one moves in legislative levels, the more difficult the task, and there are more lobbyists to address. Local codes are easier, and they can be most helpful in limiting light pollution. In Sierra Vista and Cochise County, Arizona, our codes limit brightness, require shielding, and set curfews. The codes do much more than this, too, and we periodically update them. It is important to build alliances. You will need to speak before local planning commissions, and if you have friends who care about this issue, have them write or speak before a planning meeting. Find a lighting designer who understands the problems of glare and light pollution. They will be able to provide the technical explanation. Are there any city or county commissioners who are sympathetic to this issue? Ask for their support. They may be able to explain what you need to do to initiate the process. They may suggest that you write a letter to the governing body or the planning commission or that you be placed on their meeting agenda to make your case. Have your friends write letters to the editor of the local newspaper explaining the benefits of better quality lighting. Ordinances and codes don’t happen by magic. A need has to be identified, and you should be prepared to educate and inspire others to take action. Be ready to explain why the municipality should have a lighting ordinance. Give examples of neighboring communities who have adopted ordinances and explain the benefits. Be ready to show photos of good and bad lighting, or volunteer to take elected officials on nighttime tours. 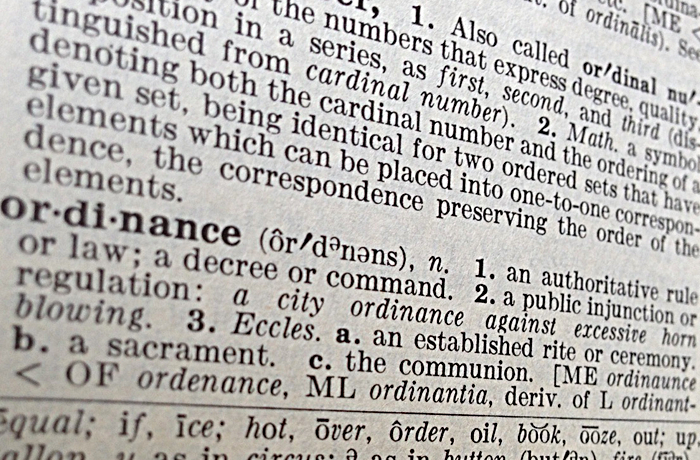 Based on your review of other ordinances and codes, offer to work with them in developing the wording. Don’t focus your effort on astronomy and night skies because many elected officials may not share your enthusiasm in this area. Be sure to cover health, safety, wildlife, and energy issues that are of broader concern to everyone. In many regions, the planning staff drafts and revises ordinances. When the staff is satisfied, the draft may be submitted to the planning commission, the city attorney, or others for comment. The county or city planning commission will review and request public comments. Eventually, the draft code will be presented to the elected body with the power to approve it. This could be city council or county supervisors or commissioners, depending on your local laws. Be ready for setbacks and don’t be discouraged. After working for more than a year with planning staff in a county in Virginia, one of the board members had not been briefed on the latest changes, and he decided to table the action for further study. This set us back a few months, but through persistence, we eventually passed the zoning ordinance. Although this process can be very slow and arduous, it has many benefits. One of the key advantages of this process is education. People will begin to understand that not all light at night is good. Once enacted, education must continue. Enforcement may be an issue. Will you have an inspector who works at night to investigate problems? Your organization may need to help others with awareness. Lighting codes, laws, and ordinances are usually a huge amount of work. But they are key to preservation of the night sky and protecting the nighttime environment. This article originally appeared in the Astronomical League’s Reflector magazine (June 2015). A big thanks to Bob Gent and the Astronomical League for letting us share it! About the author: Lt. Col. Bob Gent is a retired U.S. Air Force space systems officer. He is the past president of the Astronomical League and the past president of the International Dark-Sky Association. Over the past 20 years, Bob has traveled nationally and internationally to speak before dozens of city, county, state, and national legislative bodies in support of better outdoor lighting laws and zoning. Bob currently lives in Sierra Vista, Arizona, where he is helping update local lighting codes to protect the night sky. Previous post: Without the Stars We Wouldn’t Have “Star Wars”!